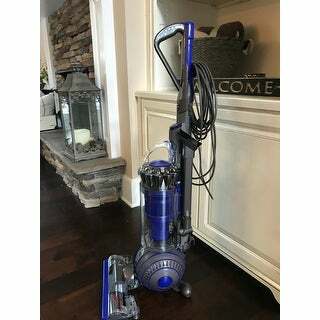 I run a cleaning service and I only use Dyson's.I got this one to try out and all I have to say is wow..I would put a Dyson on top of my list of things that help me take care of my customers homes.I never have used any vacuum better than a Dyson..
- Completely Bag Free - Never Buy Another Vacuum Bag Again; the Total Clean is Completely Bag Free! The Dyson Ball Animal 2 Total Clean generates the strongest suction of any vacuum using Radial Root Cyclone technology and was designed to work in tandem with its self-adjusting cleaner head that automatically adjusts its height to seal in dirt and allergens, all while having whole machine HEPA filtration and staying completely bag-free. 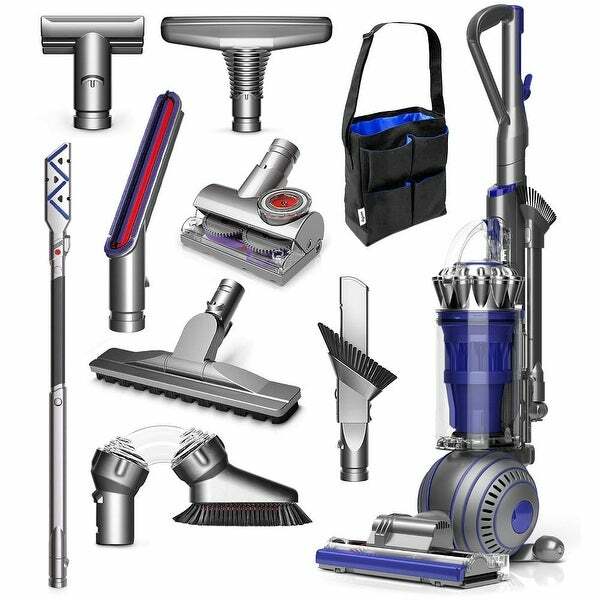 The Total Clean can clean on almost any surface; hard floors and carpets are no problem for the Total Clean. The Total Clean also comes equipped with a vast library of tools to tackle any job. Included with the Total Clean is a Tangle-Free Turbine Tool for pet hair removal, a flexible Reach Under Tool for hard to reach spots, an Articulating Hardfloor Tool for any hard surface, a Carbon Fiber Soft Dusting Brush to pick up fine dust, a Multi-Angle Brush to easily clean high areas, and a Mattress Tool for mattresses and upholstery. The Total Clean also comes with a Stair Tool, Combination Crevice / Dusting Brush Tool, and a bag to hold all those tools. No matter the mess, rest assured the Dyson Ball Animal 2 Total Clean can take care of it. I love a Dyson and have always been a fan. I still think they have the best suction hands down! This particular one has a lot of great attachments that I haven’t had before. The suction is great as always & I love the color! With our allergies and a dog it picks up all the hair! 8 years ago I bought the Dyson Animal here at Overstock and proudly so! At the time I bought my Dyson Animal,Overstock was having a sale on them. So, not only did I get my Dyson Animal at a great price, I also got it cheaper than buying it factory direct. At the same time I bought the Allergy Attachment Set and received additional attachments and Dyson cleaning supplies for FREE! Yes, 8 years later my Dyson Animal is running as well as the day I bought it, it has never let me down and ABSOLUTELY AMAZED me with its great performance. We use our Dyson every weekend for household chores, as well as any dirty event that comes along! THANK YOU, Overstock for such a great price on the Dyson I bought that day. If it wasn't for that great price, I might have bought a different vacuum cleaner, as well as 2 more to replace that first one, lol. 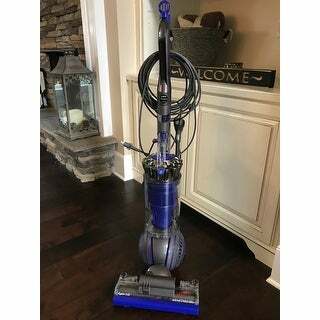 Thank You, Overstock and Thank You, Dyson.......my best purchase anywhere, ever! What is there NOT to like about this vacuum!! The suction is so good my shag area rugs are a real workout! Love all the new tools, just haven't had enough time to use them all yet. It is my 3rd Dyson, the other 2 are STILL being used on different floors of the house. Best vacuum money can buy, you won't be disappointed if you buy one. Prepare to get a workout however if you have shag. great on the bare floors too. Pulls the hair from 3 inches away right into the vacuum. Awesome! "Is this a new vacuum or a refurbished one"
"Is this a new Vacuum"